At Chartwell, we have studied manufacturing companies in every stage of the performance curve. We have made it our objective to understand and define what makes an operation deliver sustained superior performance to become a High Performance Operation (HPO). What makes the improvements stick? What drives superior performance in the first place? Not surprisingly, the answers to these questions are closely linked. We have put our findings into a framework which describes in detail what it takes to build a “High-Performance Operation”. 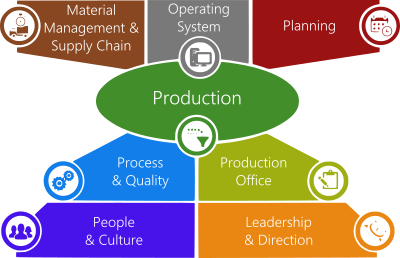 The framework consists of 8 key elements, centering around the main production or value creation process. Please contact us to find out more about this approach and to see how it can be applied to your business.